Stunning isn't it :-) Way to go Karen! Karen Cox of Auntie K's Attic! 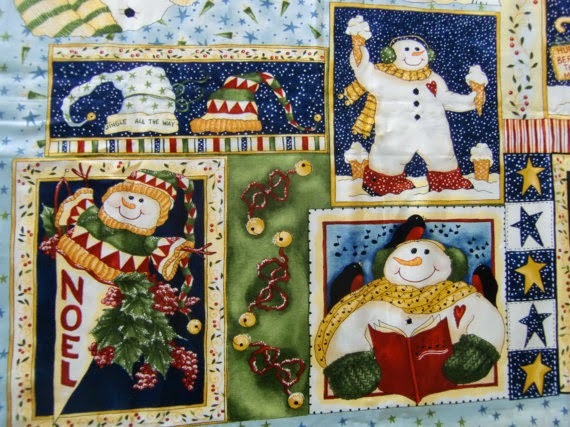 Congratulations go to Karen Relfe of Make Mine Patchwork. Her adorable cushion has WON the SHOP HOP this month.!! 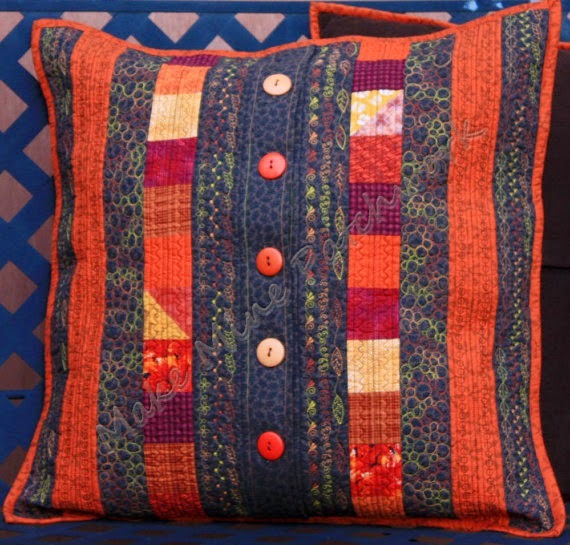 This Cushion is so professionally put together, great colour and fabric combinations and I love the buttons! Winner of the September Shop Hop and October's Entries! 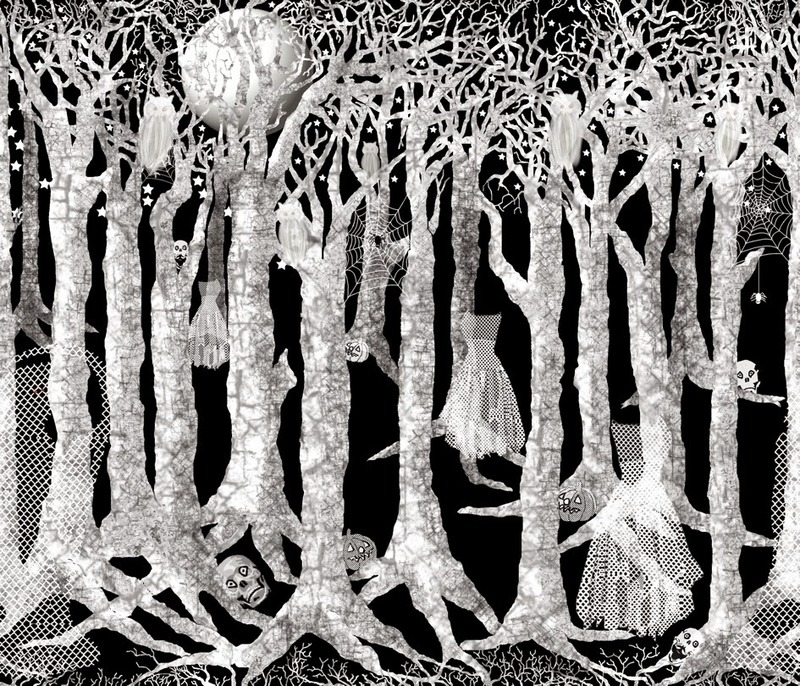 The Winner of the Shop Hop this month just happens to be my Halloween fabric now available on Etsy as well as on Spoonflower. So Lets get on with the October Shop Hop Hey! This month we have a tie for first place! This is a Cheat Quilt. 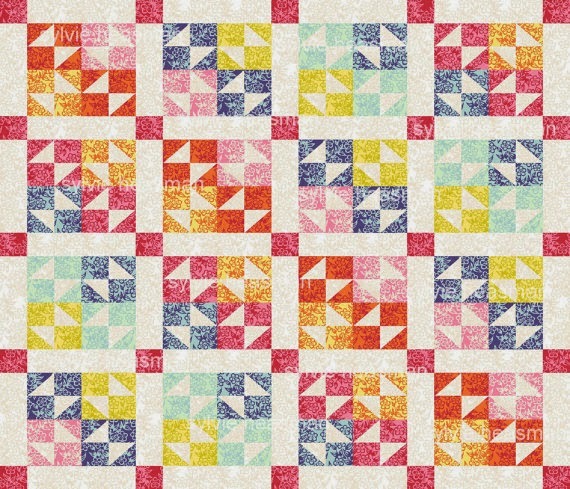 A Fabric designed to look like a Quilt :-) It was created By Sylvie Heasman of Art On Fabric her shop on Etsy. 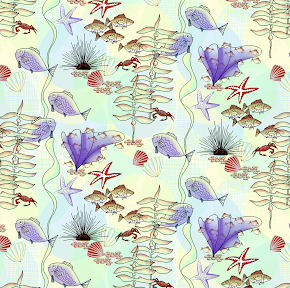 Sylvie's Fabrics are also available on Spoonflower. See the adverts down the right hand side of the blog. 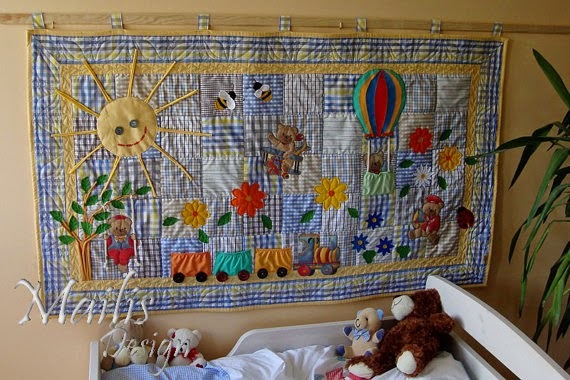 The other winner is A Patchwork Baby Quilt with Applique by Mailis of Quilts by Mailis Design. From Estonia, Europe! Please feel free to re-pin this Beautiful work!! July's Winner and August's Shop Hop!! 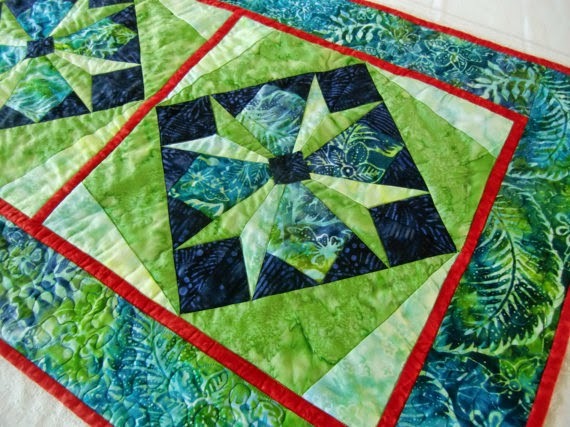 Karen L Cox from Koloa Quilts and More Congratulations!!! 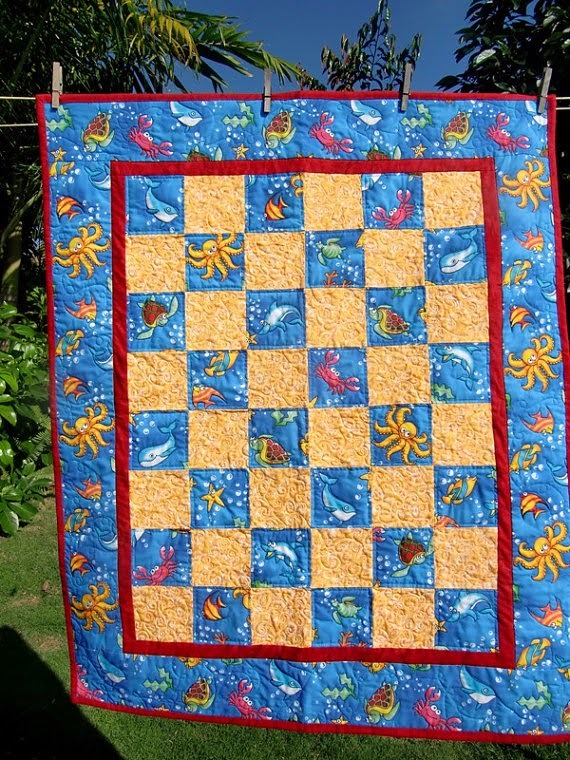 Isn't this just the cutest Quilt!!! The June Winner and the July's Shop Hop! 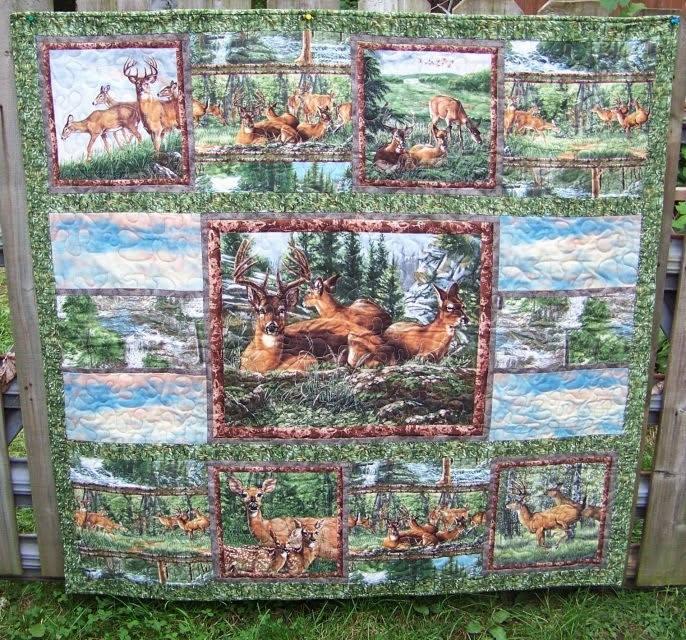 Wow how cool is this :-) Ruth of Gabbys Quilts has won the June Shop Hop with this gorgeous quilt Adirondack Deer Quilted Wall Hanging. 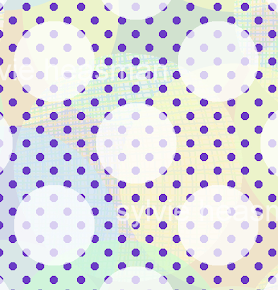 When you go to the site to look at it.. hover your cursor over it and you'll get a moving magnified view of the quilt! It's absolutely gorgeous!! I love the panels in it , the balance, the clouds.. all of it.. stunning! !